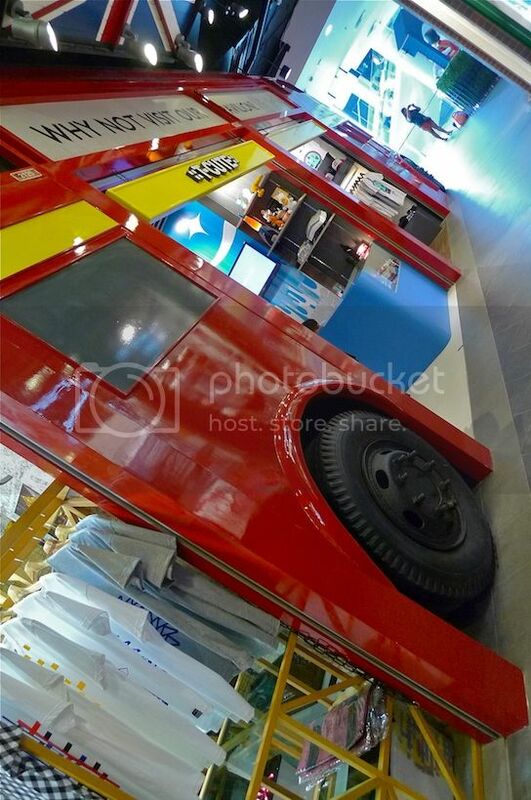 My friend and I were at this spanking new mall called Terminal 21 in Bangkok. When I saw the famous London bus with the image of the London guard in front of me, I really thought I was dreaming! But it's true! There it was! 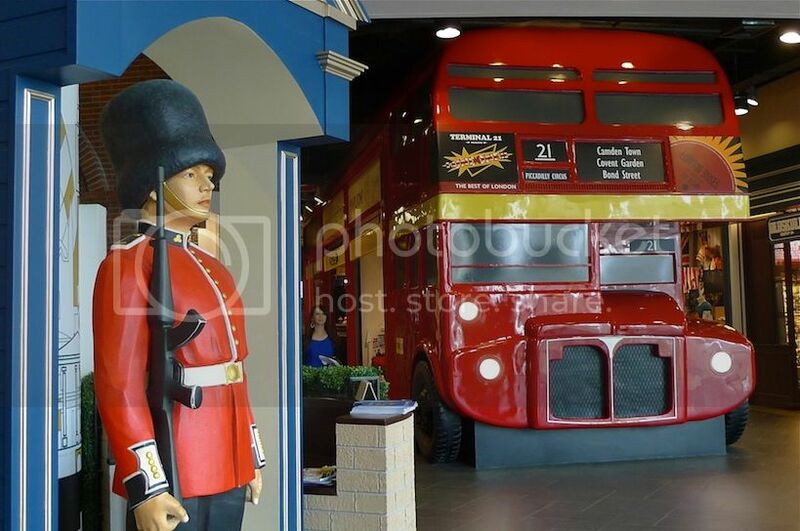 The double-decker red London bus and the London guard in his red uniform! 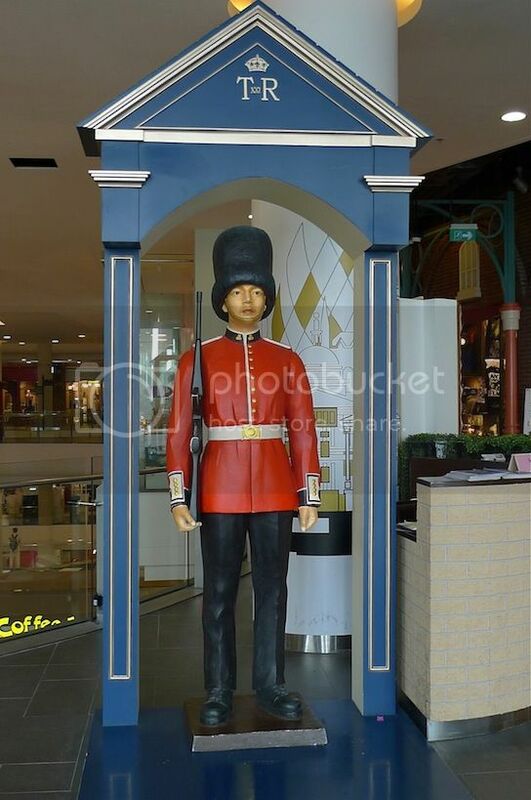 Why were there a London bus and a London guard in a shopping mall in Bangkok? Well, every floor of Terminal 21 represents a famous city or place. 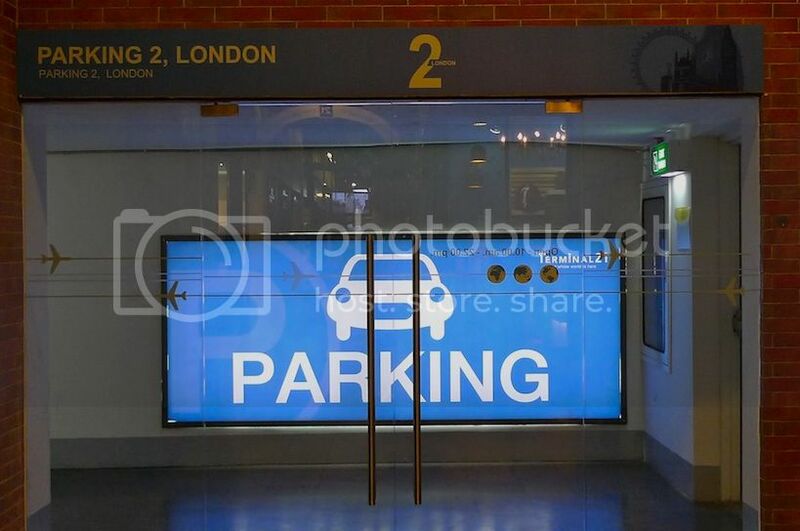 We were on the 2nd floor of this airport-themed shopping mall, and the 2nd floor is the London floor! 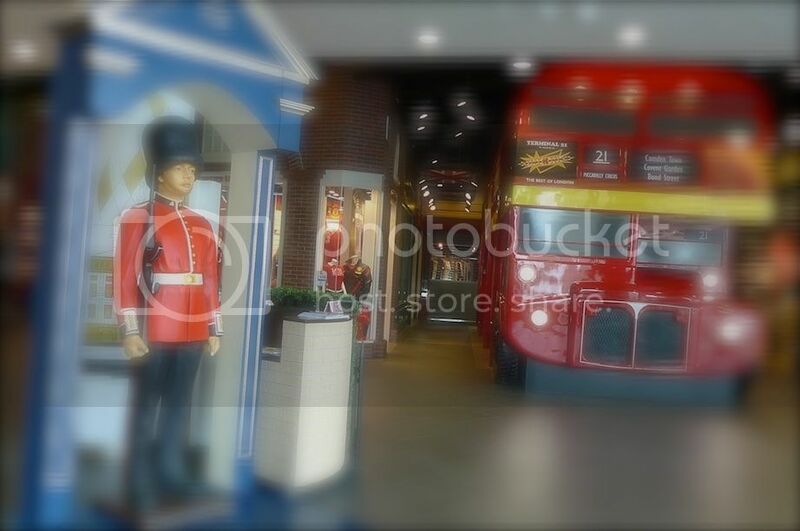 Even though I knew I was on the London-themed floor, I was still unprepared to see the double-decker bus and the guard! They looked pretty amazing to me! 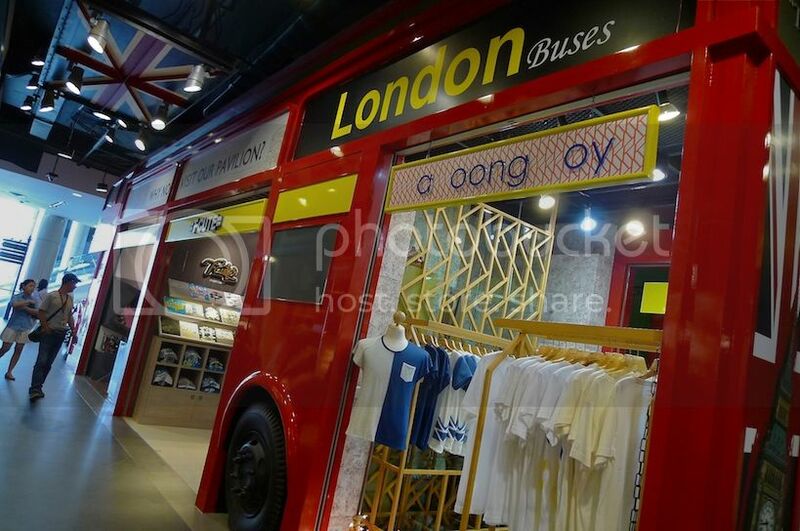 On closer inspection, I found that the bus actually houses a row of shops selling mostly men's clothings. In fact, the 2nd floor of Terminal 21 is dedicated to men's clothings - some of which are pretty trendy and of high quality. But you will have to excuse some of the names of these shops which are probably designed for gay customers! Names like Queer, Happy Closet, Gay Ray, 69, For-Play, StraightUp, and so on. This is the exit to the parking lot and if I just show you this photo and said I have been to London, will you believe me? LOL! 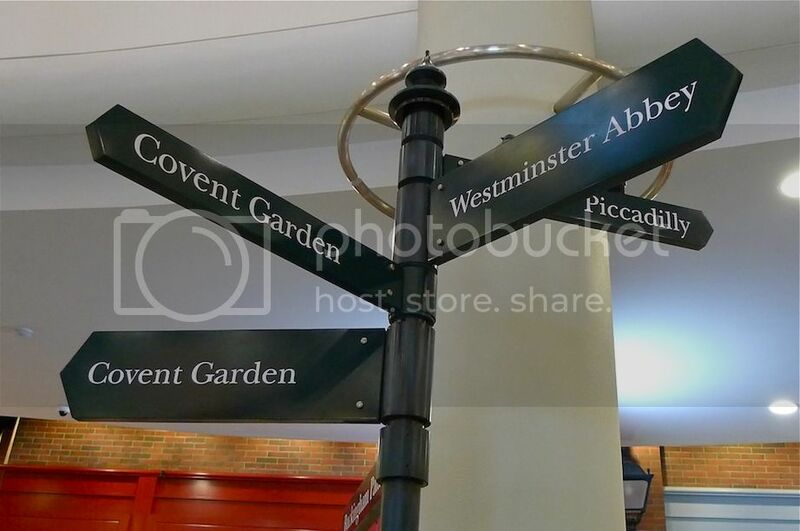 There is a street sign showing directions to Covent Garden and Westminster Abbey, amongst others. Cool! 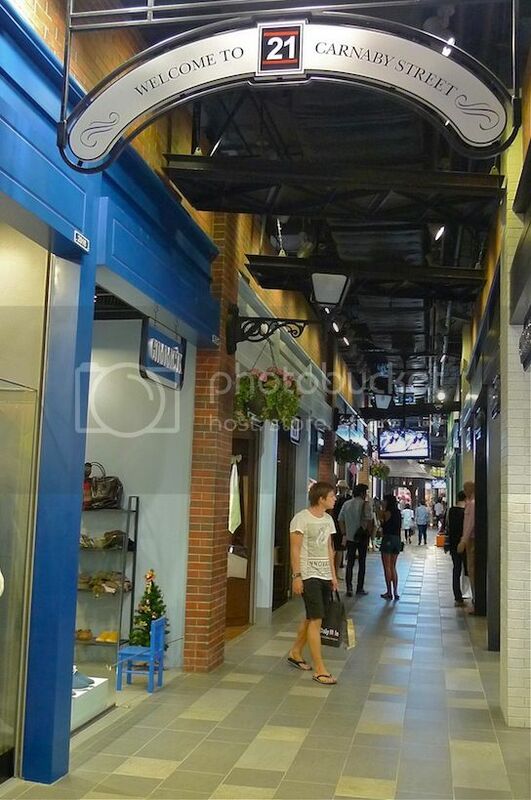 Does this look like Carnaby Street in London? I took a brief rest by sitting on this wooden bench but not before taking a picture of it! How awesome! 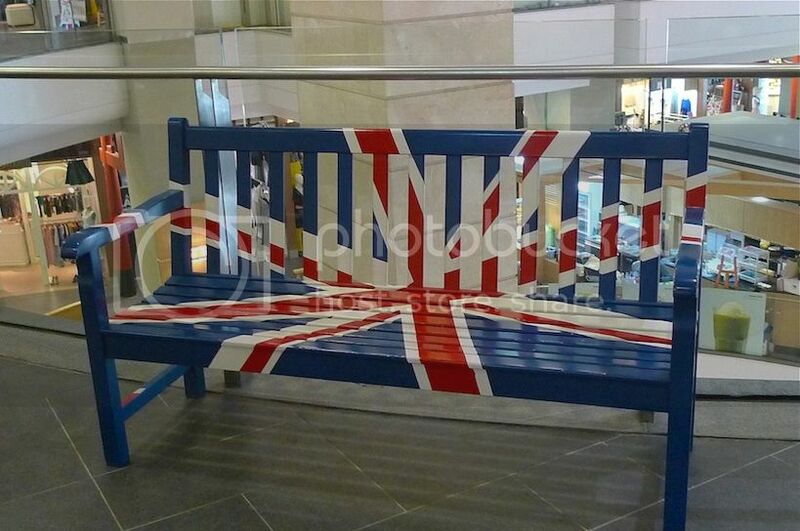 It was painted with the image and colours of the Union Jack flag! But.....uhh, sitting on a flag? I am not sure if this is such a good idea - surely in Malaysia, this would be called disrespectful - but still, it's pretty creative! And then, there's the iconic red phone booth. 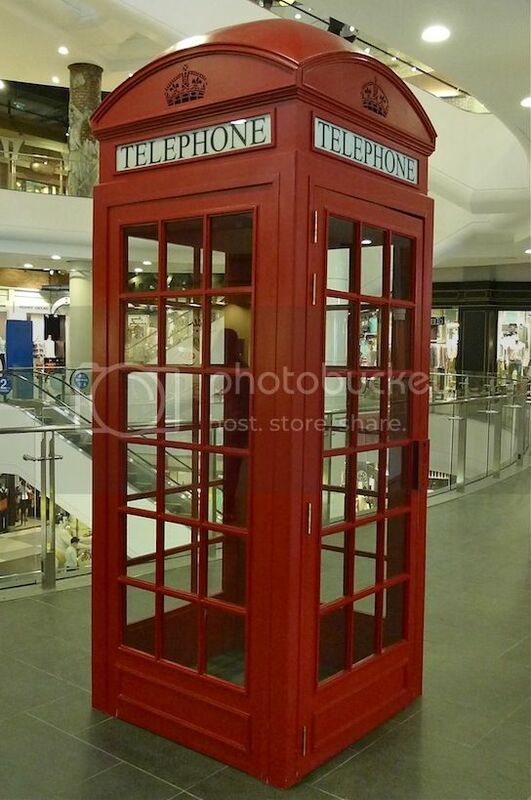 When anyone mentions London, this red phone booth will always come to mind. 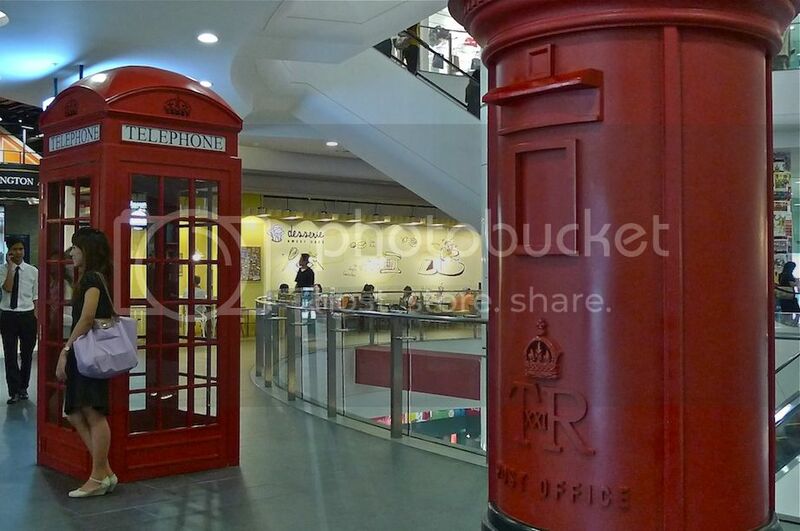 I believe we also have this red phone booth in Malaysia. Do you know where? Read HERE for the answer. A red post box stands a few metres away from the phone booth. 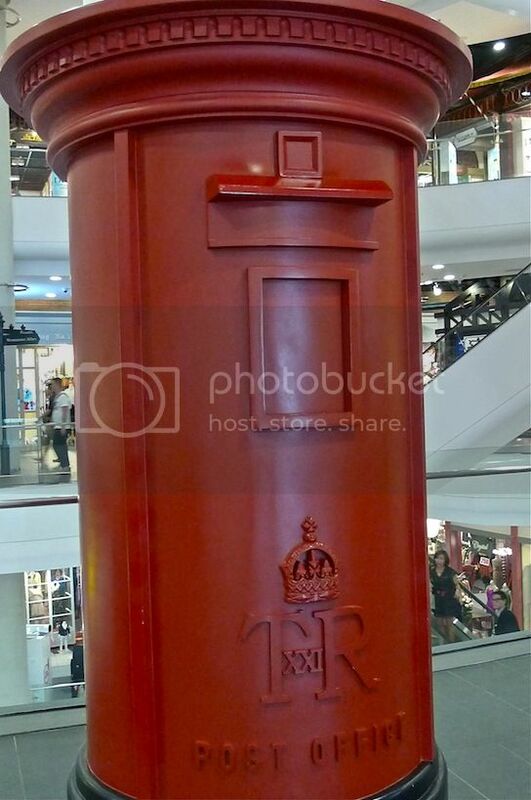 We were lucky that there were not many visitors and shoppers at that time so we could take the photo of the phone booth and post box without fighting with others! What an awesome London-themed floor at Terminal 21! 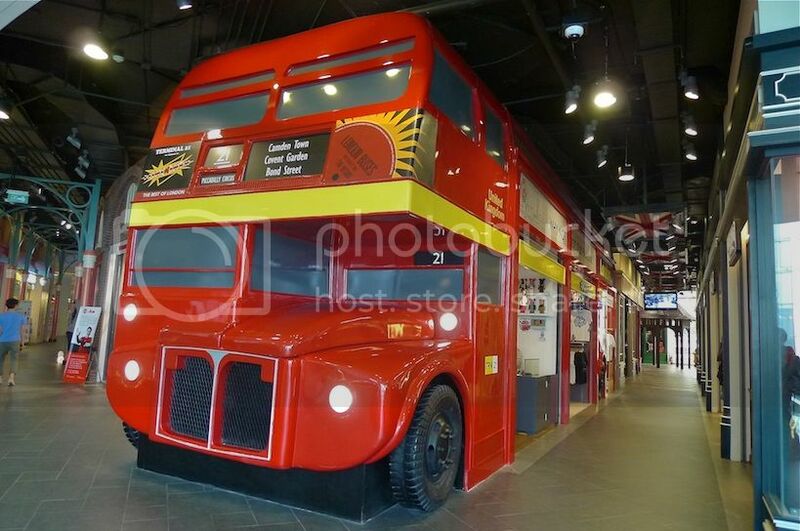 I will never forget the red double-decker bus and guard that greeted me and my friend when we came out from the toilet. And talking about toilets, have you seen their amazing London-themed toilet? Read all about it HERE!